Also known as the Great Sioux Nation, the Lakota, Nakota and Dakota Nations stemmed from the original inhabitants of North America. The total number of native North Americans is approximately 1.5 million, of which around 100,000 are from Lakota. They reside near the Sacred Black Hills of South Dakota. 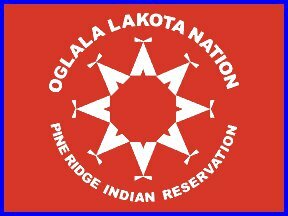 Lakota is the largest of the five major dialects of the Sioux language and, with eight to nine thousand speakers, represents one of the largest Native American language communities left in the United States (US). Initial contact between the Lakota and the US was marked by a standoff, but in 1851, the two parties signed the first Fort Laramie Treaty, which formally recognised the Lakota's Inhabitants' sovereignty over their lands in the Great Plains. Despite this and other treaties signed at a later stage, the US violated its promises. In 1877, after gold was discovered in the sacred Black Hills, the US government forced the Sioux Chiefs to give up this sacred spiritual home of the Lakota and partitioned the vast Sioux territory into a number of small reserves. Over a century later, in 1980, the US Supreme Court ruled that the Sioux were entitled to 122 million US dollars in compensation for the Black Hills. The Sioux refused to accept this money, as in return they would relinquish their rights to the Black Hills. The inhabitants of Lakota and other indigenous peoples of North America have suffered tremendously under White Anglo-Saxon Protestant colonisation, including from ethnocide and forced relocation, both of which led to a loss of cultural identity. In the long run, this caused depression and despair, which has given way to present-day Lakota communities being disproportionately affected by alcohol and drug abuse, mental illnesses and apathy. Despite written acknowledgement of the rights of indigenous peoples in the US and the creation of governmental institutions to regulate indigenous affairs, the fundamental rights, preservation of culture and regulation by the indigenous for the indigenous have yet to materialise.